What is now a leafy side street connecting London Fields to Mare Street was the scene of a hard fought battle during the 1990s. Victorian terraced houses on Ellingfort Road, owned by Hackney Council, were run down and classified as derelict. Tenants were moving out, and one by one squatters moved in. Before long the entire street was squatted. “The neighbourhood is a crime-ridden, derelict ghetto, a cancer – a blot on the landscape,” said the managing director of food distributors the Don Group, to the Hackney Gazette in 1993. According to contemporary reports, the company was planning with Hackney Council to invest £6 million in a 21,000 square foot food retail distribution and manufacturing park in the area, dubbed the Hackney Industrial Improvement Area. “The problems associated with dereliction – of vandalism, squatting, fly-tipping – which have bedeviled the area for years, will be arrested by the proposed development,” said the then Council Leader, John McCafferty. The development, which was due for completion by September 1995, aimed to create 200 jobs, but would mean bulldozing the squatted houses on Ellingfort Road and London Lane, home to some 100 people. 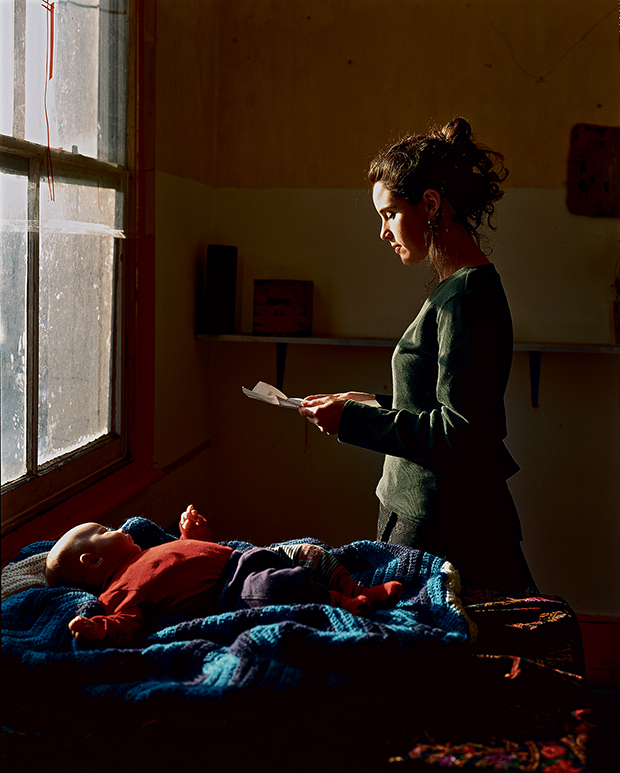 Ellingfort Road’s most well-known resident was Tom Hunter, a photographer who documented the lives of his neighbours in a series of photographs and presented them with a dignity that stereotypical representations lacked. 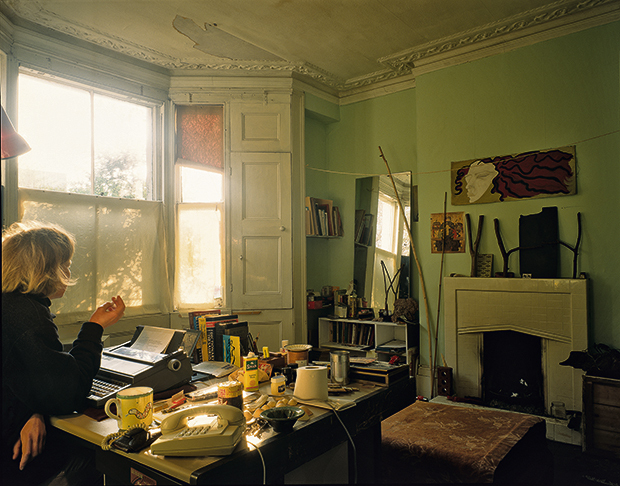 When Hunter squatted 17 Ellingfort Road in 1991, he had been working as a tree surgeon but was about to start a degree in photography at the London College of Printing. We meet at his house, which isn’t far from Ellingfort Road, on a pretty street north of London Fields lined with smart terraced houses. He tells me that squatting was fairly commonplace back then, as poorly maintained houses and flats, owned by councils and leased to housing associations or cooperatives, weren’t considered worth repairing. At the end of leases tenants would move out and the property would lie empty until squatters moved in. Hunter was a fairly seasoned squatter by the time he moved into Ellingfort Road, where he hoped to have a studio for his photography. The street before long began to fill, empty houses one by one becoming squats. But the squatters weren’t just artists, or students needing somewhere cheap. The squatters began sharing and cooperating, and the community grew. Garden walls were knocked down and a communal garden established. A former motorcycle repair workshop became a community café, with food served three times a week. Bands like Asian Dub Foundation played at parties and Howard Marks came to give a talk. There was even a mini city farm – a pond with ducks, chickens and goats. It might have been their shared ‘outsider’ status as squatters that brought them together. But what really cemented this tight-knit community was the fear of being evicted and losing what they had built. The battle to save the area began in 1994, when the squatters were threatened with eviction. Hackney Council unveiled plans to demolish the houses to make space for a large-scale industrial zone, including a frozen chicken warehouse. “It’s hard to imagine now that area which is just so vibrant. Now it looks so gentrified with all those places opening up but at the time it was an area of abandonment and dereliction,” says Hunter. The squatters weren’t alone in fighting the plans. On their side were local businesses against the idea of a fenced off industrial area. Hackney Council chose not to involve squatters in the consultation process, but legitimate businesses were invited along to the meetings. One of the squatters ran a bike shop and was invited, as a local businessperson, to the meetings with the council. But the real game changer was yet to come. 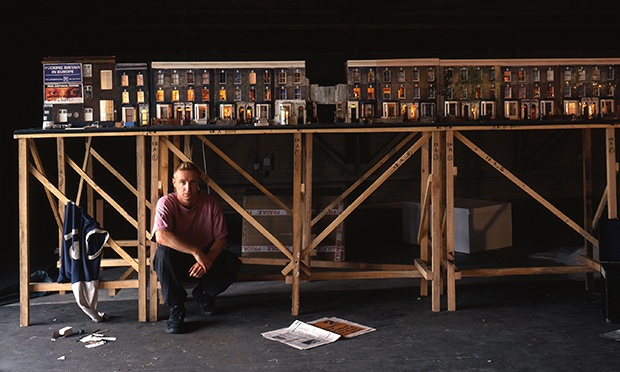 Hunter was approaching the end of his course and for his degree show, he and his friend James McKinnon made an exact replica model of the two squatted streets. Made out of cardboard, wood, transparencies and photographs, The Ghetto accurately recreated the exteriors of the houses and the lit-up interiors of rooms, complete with the people who lived there, sitting on their beds or drinking tea. The sculpture, which is now on permanent display in the Museum of London, challenged the prevalent sense in the tabloid media that squatters were a threat to civilised society. Hunter’s university tutor, Julien Rodriguez, was so impressed by the piece that he arranged for people from the Museum of London, the Guardian and Time Out to attend the degree show, and suddenly the squatters’ plight was catapulted onto the national stage. Having won the propaganda war, the squatters spent the next 10 years transforming the community into a housing cooperative, borrowing money from a housing association to buy the properties from the council and fixing them up. Even today they are still repaying the money on the houses.